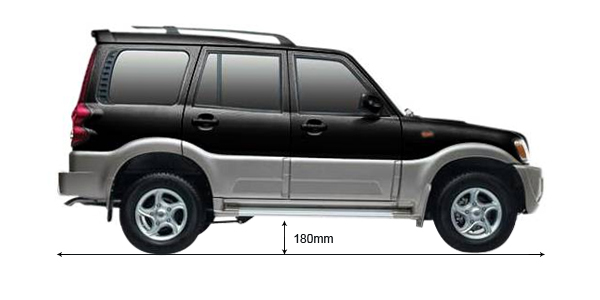 The high ground clearance of 180mm offered by the powerful SUV Mahindra Scorpio, helps it sit up high enough so that its belly is not scrapped. It helps in attaining a comfortable and smooth ride even on bumpy roads. There are many strong rivals of Mahindra Scorpio in the Indian market that come with an even better ground clearance figures and challenge Mahindra Scorpio in this respect. Tata Safari, a powerful SUV from Tata’s stable and hugely popular in the Indian market comes with a higher ground clearance of 205mm that makes it all the more desirable over Mahindra Scorpio. Renault Duster, the stylishly designed compact SUV that has taken the Indian market y storm ever since its launch , also comes with a better ground clearance of 205mm. Even Nissan Terrano offers a higher ground clearance of 205mm. Despite being a practical SUV, Mahindra Scorpio lags behind its competitors when it comes to ground clearance. 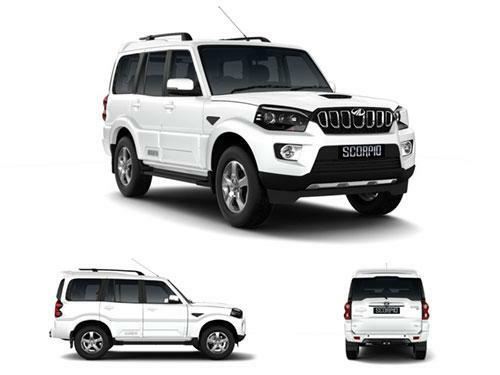 Compare ground clearance of Mahindra Scorpio with its immediate competitors. Ground clearance of Mahindra Scorpio competes directly with Tata Safari, and Renault Duster 2015. Put straight, any ground clearance crossing 170mm is considered to be decent, whereas, in case the ground clearance of a car is below 160mm, it's not good for Indian roads. Another thing that should be considered while making a buying decision is that cars with ground clearance of less than 160mm would be fine if the intended driving terrain doesn't have any bumps. Think of what sort of roads do you have in your locality and at your expected visits, then zero down your purchase.